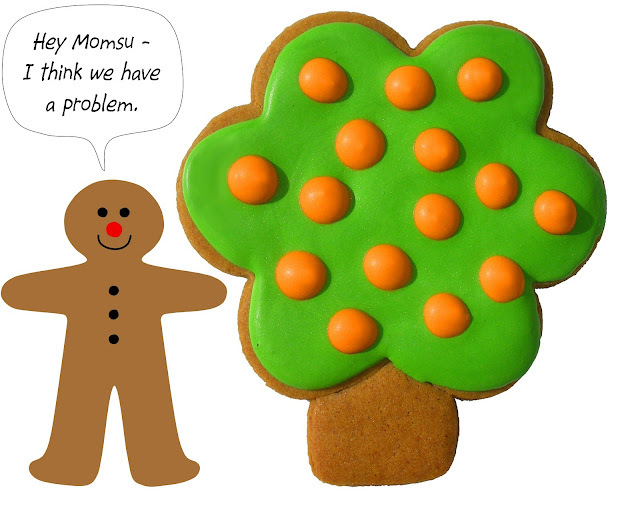 THE GINGER COOKIE: UH OH! Did you get an email from The Ginger Cookie talking about orange trees last week? If so it wasn't supposed to happen. The post was from last November - which somehow wound up back in the drafts. What's going on here? I put it back where it belongs in the November posts and Blogger let everyone on my email list know about it. Perhaps I don't know what I'm doing? Sorry for the confusion . . . I'm pretty sure blogger has a mind of its own most days. My favorite is when it decides to remove all the spacing from the text when it publishes!!! !